Bonjour, la lune est encore levé !! Qu’est-ce qu’il va faire maintenant ! C’est dur d’attendre la page suivante!! 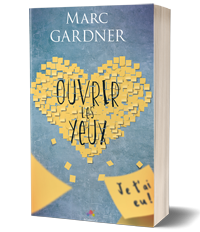 Merci pour cette page, sa fait plaisir de lire The Gardener tout les lundis ! Curiosity may have killed the cat but satisfaction brought it back. Anndd there’s the peep show! Whoops! Will Archie stay or enjoy the moment? Till Mr Grumpy Bear turns around anyway. HAHAHA…wonder how long Archie will stare at that for! Also, a small correction. It shd be…Leo must « have » forgotten to switch off the lights.